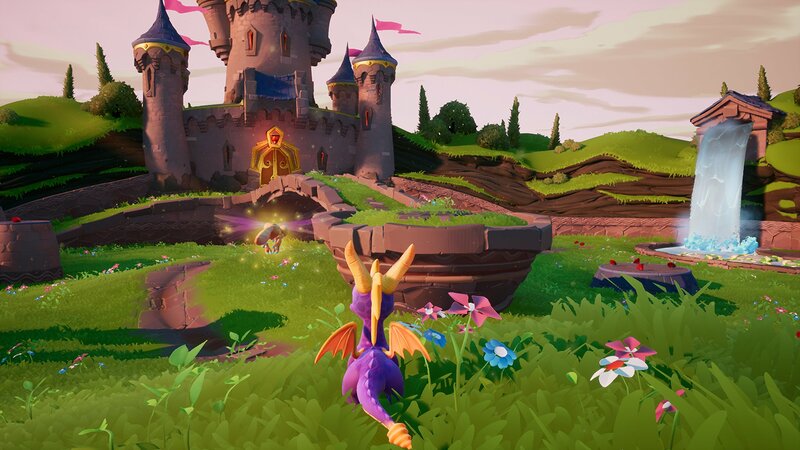 After a long wait the remake of the original trilogy that we all knew was coming has been revealed as the Spyro Reignited Trilogy. 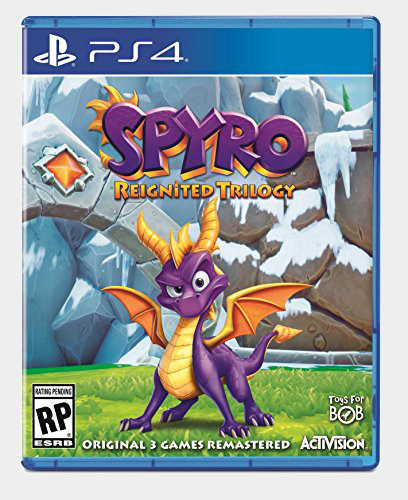 Thanks to Amazon Mexico we now know that the game is coming to the PlayStation 4 on September 21st and will indeed be a remaster of Spyro the Dragon, Spyro 2: Ripto's Rage!, and Spyro: Year of the Dragon. Keep in mind that the Crash Bandicoot N-Sane Trilogy had a placeholder boxart when it was announced so this is likely not the finalised boxart. While we wait for the actual official announcement you can check out more of the images in the gallery or get talking about the game in the forums. 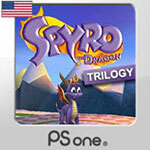 It's finally happened, the European PSN Store has added the original three Spyro games. Sold for £3.99 (€4.99) each or as a collection for £7.99 (€9.99). As the US flag indicates they're technically the NTSC versions of the games so they won't have any of the additional languages and Gateway to Glimmer is actually called Ripto's Rage in-game. 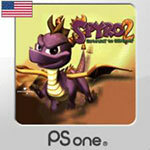 Following closely on the heels of the addition of Spyro 2: Ripto's Rage last week, Spyro: Year of the Dragon has now also been added to the North American PlayStation Store. Everyone's favorite dragon is back, and this time he must save the Year of the Dragon Festival by rescuing the 150 eggs that have been stolen by the evil Sorceress and scattered across the Forgotten Worlds. New features include mini-games, new playable characters, and an Atlas to track your progress and accomplishments. 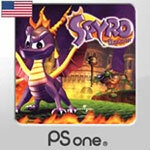 Download this PS one classic today! Amazingly enough, I finally got round to completing the whole of the Spyro: Year of the Dragon guide. It's now fully completed all the way through, all 150 eggs collect, all 20,000 gems collected. Wahey! I've also completed the Skill Points and Cheats pages now as well, thus completing my work on Year of the Dragon forever. Amazingly within all that other work I've done, I managed to create a brand new map system for Spyro: Adventure. Found here you can see the work I did on the 19 in-game maps (yep, I found another one that I'd missed) which now shows you where all of the coloured chests, Sgt. Byrd air vents, Agent 9 air vents, Moneybags vaults and Phoenix Footprints are. Quite useful if I do say so myself. I've even got a link to it on the sidebar now. Slightly less useful at the moment, I have made a similar map system for Season of Flame. While it is still incomplete it might be slightly useful for you if you like looking at maps. I do plan on adding things to it in the future such as the locations of the fireflies as well as actually putting the locked chests and keys onto the maps. Found here you should take a quick look. And in wake of that, I've gotten ahead and started up my guide to the first GBA Spyro game, Season of Ice. I am also planning to make a map system like the other two games but it will take a bit longer as I will have to make the maps myself from scratch. I've currently only made one so far, click here to see it. While not as cartoony as the ones for the other games, it does give you an overview of the level. I've taken the time to write up as much info as I know about the game, along with a bit of guesswork, and several images to go with it. Click here to take a look. It introduces the game and several of it's new features. I said I'd try to work on it, and I've done just that. I have now begun filling it in with all of the characters from the original game. When I get it filled full for that game, I'll release it to the world. That should be done in a couple of weeks, so prepare yourself for that too. However progress has so far been a little slow, as I've only managed to do the pages for Spyro and Sparx at the moment. No matter though. All shall be done one day. Also note that every character to appear in the guide will have a screenshot of them, so no wondering who I'm blabbering on about it the profiles. I have now sorted out my updates so that anything I do to the site will be uploaded to the server as before I usually either forgot to upload something or just uploaded every page again just incase I had missed something. I may also resort to a weekly update, but knowing me it won't last long before I start randomly updating the site. The day that I will most definately update is every Saturday from now on (unless I forget), well, until I have nothing left to do to the site anyway, but there may be updates during the week occasionally if I'm every motivated to do so. 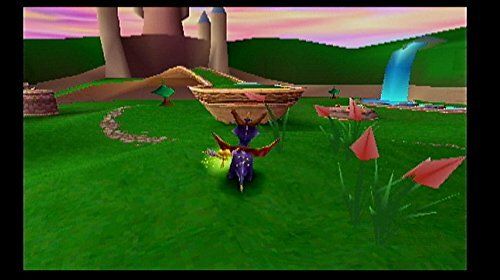 As far as updates this week go, I've reformatted the guide for Spyro: Adventure (Attack of the Rhynocs) so that it looks a lot better then it was before. I have also redone the bars at the side of the pages so that they match the top of the page as well as making the names of the games all their European versions rather then a mixture of different regions. Also, I have added a slight bit to the Spyro Fusion guide for the party mode with a tiny bit more info. Well, I finally got back to work on the Year of the Dragon guide today, and I've written another 10% of it. All the way through to completing the whole of Sunrise Spring including Crawdad Farm in the Sparx World as well as Sgt. Byrd's Base in Midday Gardens. Expect a lot more next week as I expect to have completed all of it by then although no promises. I also hope to have started my Season of Ice guide too, but only if the Year of the Dragon is complete. The Character Guide that I used to have on the site is being upgraded and altered to be a more efficient and better laid out guide to everything in the world of Spyro, but it is still nowhere near complete enough for launch on the site. I hope to get it fully completed soon though so maybe by next week you might be able to try out the first installment of it but I'm not making any promises and it is unlikely to happen that quickly unless I have a lot of spare time on my hands. I have also taken the time to redo the Old News section so that it is easier to browse if you for some reason wish to go back and see what pointless stuff I wrote previously. Now there are links to the different months on seperate pages instead of it all crammed into one page as before. Oh, and I've also merged the Card Pictures and Card Locations pages together in the Spyro Fusion section so that you can both see and find all of the cards on one page. Well, I have also started work on a new look for the site, and as usual I have a couple of ideas as for what to do. One such one is viewable <a>here</a> so tell me what you think in the forums. I should have a second new look by next week so I'll start the vote then if I can't decide by myself. Either way the new look will be here the week after. Oh, and there's another one <a>here</a> as well, it's not quite finished yet as the buttons at the top will eventuallybe rollovers and change to orange when you move your mouse over them as well as being links. Oh, and at the moment it might seem a bit more complicated to navigate, but I will be making the indiviual pages use a more personal sidebar just for that game or section. While I haven't got enough spare time to work on the Year of the Dragon guide, I can and have done a bit of work on some other pages on the site. For the Spyro Orange: The Cortex Conspiracy guide I have now completed work on the Party Mode page as well as the Cheats and Codes page which both now have some content. I also redid the sidebar for this game and removed the need for a seperate page with the links to the individual pages of the walkthrough on. I believe that's all I've managed to do, but I may have done some more here and there. Anyway, I'm hoping to get back to work on the Year of the Dragon guide in a few days so hold on tight for that. Hmm, well it had to happen really. I haven't yet had the chance to play either of the games through the whole way and because of that I am unsure as to whether or not I will actually be able to write a useful guide for them. Hopefully I will be able to, but until I get 100% (or however much percent you can get) in either game there won't be a guide for them at all. In Year of the Dragon news, I have done a slight bit more of it, now going through the Midday Garden Home. Very slow progress at the moment as I've been working a bit too hard on the guides really. I may take a day or two off in order to be able to get back on track afterwards rather then going really slow for a long time. Therefore any prediction for completion of the guide is going to be most likely incorrect and I don't expect the guide completed this week. However, just so you know, the guide is currently about 20% completed at the moment. Oh yeah, and as you might have noticed, I've altered the top of the site a little bit. It's no longer black, but rather a nice purple colour. 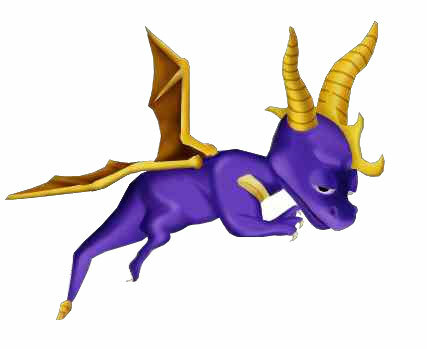 I have also added several different characters from the Spyro games over on the right instead of the Hero's Tail logo. I did this as I was a bit bored. Hopefully it should make the site look a little better then it did previously. And as before the title bar still fits into the 800x600 size window so that shouldn't be a problem for anyone using that setting. The whole of the Sunrise Spring world is now completely written. Head on over to the section for it. I'm going to start on the Midday Garden world tomorrow so you'll have to wait until then (or the day after) for that one. Nothing else done to the site though so seeya then. Yeah, real good progress huh? Well it's something at least. So then, 3% of the game all done and dusted now. Simply great. Oh yeah, since I didn't mention it yesterday, I've also done the Introduction page to Year of the Dragon too. Interesting. I've finally finished off the entire guide. With the whole of Winter Tundra now written up it is done. I have also added content to the Skill Points page, as well as to the Cheats and Codes page. 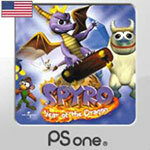 With Glimmer out of the way, I will soon be able to start my guide on Spyro: Year of the Dragon. The first bit of that guide should be here within a few days, or at the most a week. And after completion of the Year of the Dragon guide? Well the two GBA games that I have yet to do obviously. The only problem there is that I have yet to play either of them so I don't really know how long it'll take to write the guides for them. Well around that anyway. With all of Summer Forest and Autumn Plains completed (except for the return parts of Autumn Plains) I only have Winter Tundra left to do. There are still 8 levels still to write about so with 21 levels already done, it should be completed very soon people! Maybe even by tomorrow. Not promises though, you'll just have to wait and see how far I get. Well, however much I manage to do by tomorrow, you are almost certain of an update of some kind. 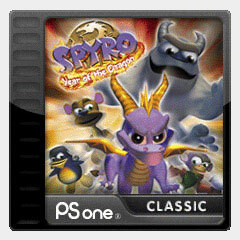 Oh, and just so you know, seeing as this method of making the guide is working better than the method I used for the Spyro the Dragon guide, I'll be using it again for Year of the Dragon when I get round to it.